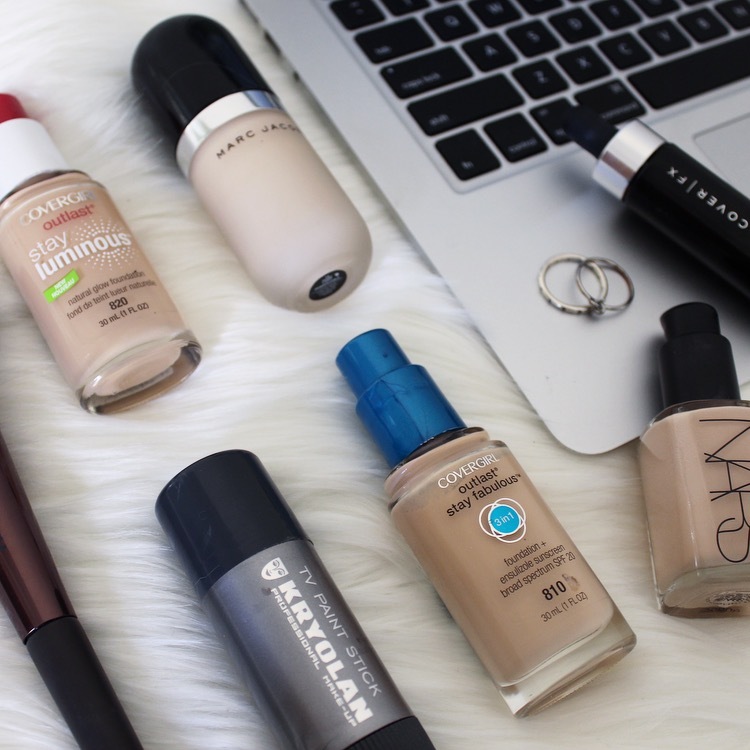 How To: Customise Your Foundation! Hey, friends! I don't really think that there is a single, perfect foundation for every person. 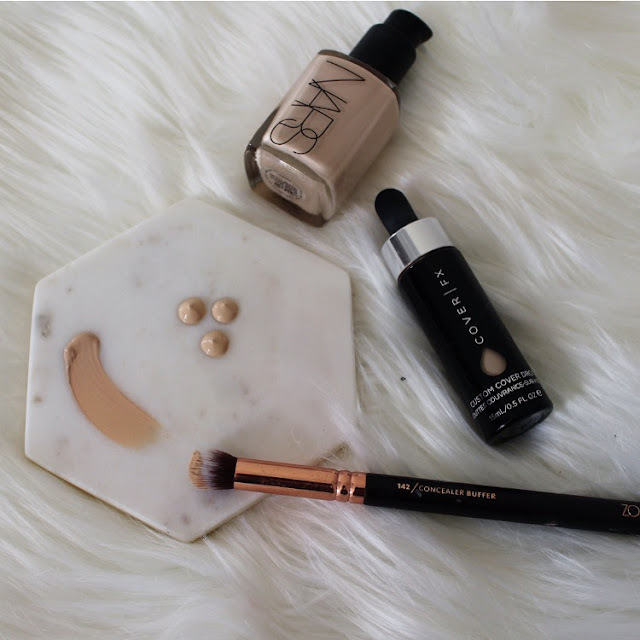 If you're a beauty lover, you probably have multiple favourites - one with the perfect finish, one with your preferred coverage, one with the best lasting power, etc - which you swap out depending on the day. This was definitely my situation until I learned how to customise my foundation, which (surprise! ), is the topic of today's post. I mean, don't get me wrong, I still have an unnecessary number of foundations in my drawer. But I've definitely cut down on my stash since I started tweaking my bases, and I figured I'd share some tips with you all! You're welcome in advance. There's nothing more annoying than finding a foundation with a beautiful finish, only to discover that it's coverage is more or less than you desire. Nars Sheer Glow poses such a problem for me - in that it doesn't cover as much as I'd like - but I have found my saving grace in the Cover FX Custom Cover Drops. Add a few drops of one of these babies to your foundation to beef up it's covering power, and bam, problem solved. Plus, they can also be used to customise the colour of your foundation, if you pick a lighter/darker shade. Oof, I love a multi-tasker. When it comes to sheering out your base, I always recommend mixing a moisturiser into your foundation - it's a trick as old as time, but it works wonderfully. 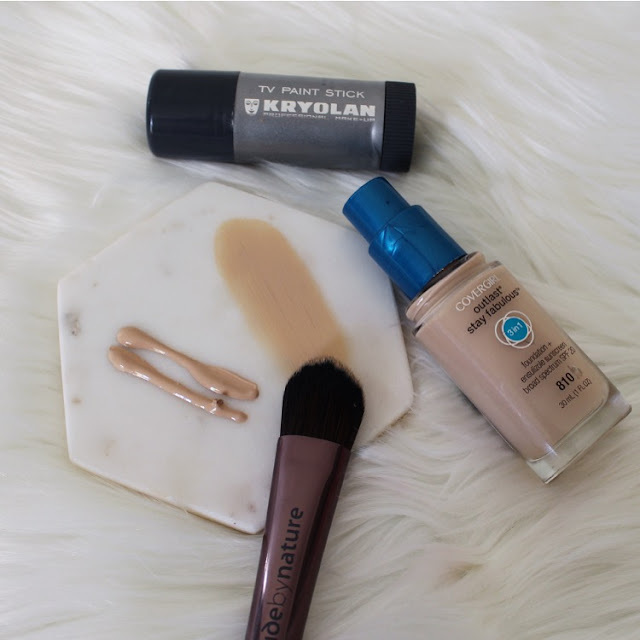 Sometimes you enjoy the wear of a certain foundation, but hate the finish - maybe it's too matte, maybe it slides off of your face, but either way it isn't working for you. An easy way to combat this is to mix your bases. I know, I know, its hardly groundbreaking, but its something I often forget to do. For instance, if my skin is particularly oily, my Kryolan TV Paint Stick isn't matte enough for me, so I add a little of my Covergirl Outlast Stay Fabulous to help it out. Hey, presto! Magic. Maximising the wear of my foundation is something that has come in so handy during the hellish Perth summers, when the humidity tries it's hardest to make you look as if you've gone one on one with an open oven. 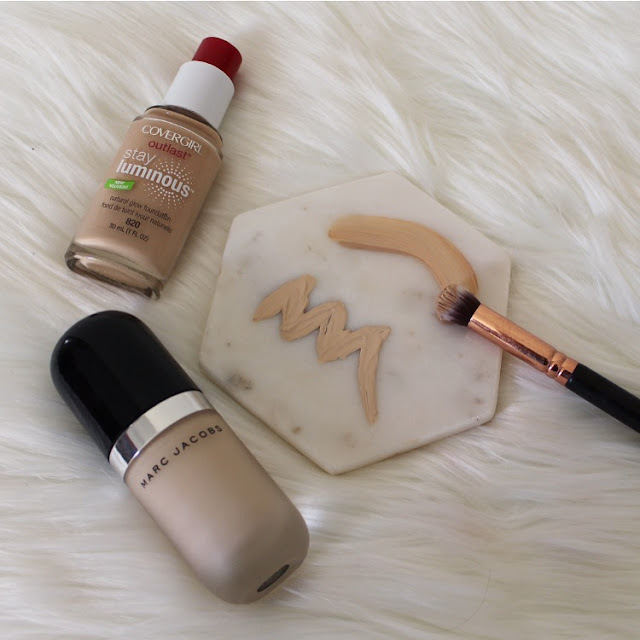 So, if I know I'm going to be wearing my base for longer than around eight hours, I add three simple steps to my routine, to show my foundation who's boss. Firstly, I mix some BB or CC cream into my primer - this lays the foundation (pun intended) for your coverage, meaning that when your additional layers begin to wear off, you still have some pigment beneath. Secondly, I apply two different foundations; a matte finish in the t-zone, and a luminous finish around the perimeter of my face. I find that my base tends to wear from the inside of my face first, so adding a long-lasting matte foundation to the centre ensures that I don't look like a melty mess by 1:00pm. Furthermore, keeping the rest of my face dewy keeps the illusion that you are fresh and made up, and not suffering under your layers of cake. Finally, I apply setting spray - Urban Decay De-slick to be precise - between every step of my base. Primer? Spritz. Foundation? Spritz. Concealer? Spritz. Mandatory snack break? Spritz. Is this financially viable? Absolutely not. Are any of my life choices? Not really, no. I hope this helped! Leave your foundation tips below!